South West Queensland provides a broad scope of landscapes and activities to experience. This region has just a few unusual names that’ll be sure to keep you entertained on the road. For example, you’ll find Pickanjinnie is located somewhere in between Wallumbilla and Muckadilla. In the Outback, races aren’t strictly limited to horses; we like to give anything from yabbies, camels and goats a run too. You can experience a true Aussie pub (or twenty) that you can’t find in the cities, and have a good chat with the locals over an icy cold beverage. 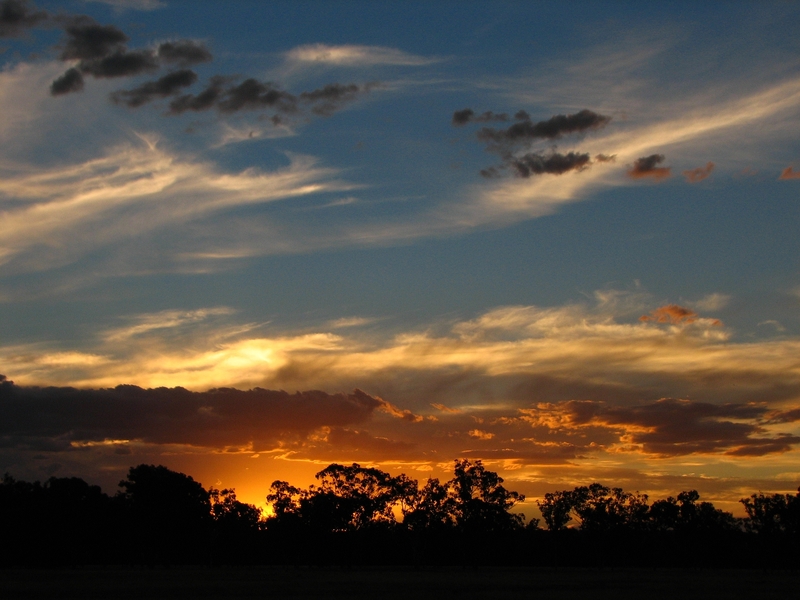 And you can’t forget the unbeatable sunsets out in Outback Queensland. With our vast open spaces and lack of towering skyscrapers, you get an uninterrupted view of dusk settling in over our beautiful country. Start your trip into Western Queensland in Roma, the gateway to the outback. Known for having the largest cattle yards in the southern hemisphere; this bustling town has more than meets the eye. With big events like Roma’s Easter in the Country, the Roma Show, and numerous races throughout the year; Roma draws in the crowds for weekends of lively country fun. If you’re looking to gather information and history about this great area stop in at the Big Rig. 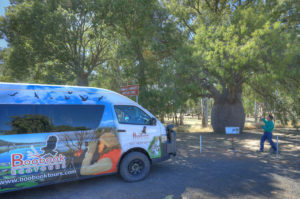 Then you can head just down the road to marvel at the Carnarvon Ranges on one of BOOBOOK’s wonderful tours! If you haven’t heard the classic Slim Dusty song, Charleville, you’d better get ready to turn it up when driving into this outback town. To get a chance at seeing one of Australia’s endangered marsupials, head out to the Charleville Bilby Experience. This wildlife centre runs Save the Bilby Fund that donates all the visitor proceeds towards ensuring the conservation of these adorable animals. Don’t forget the other stand-out experiences available in Charleville. You can visit the Cosmos Centre and Observatory and gaze at the marvellous Milky Way without the city light pollution, or visit the Royal Flying Doctor Service Visitor Centre to learn about this iconic outback service. Keep heading west and you’ll eventually come across a little place called Eulo. Although this town only has a population of 48, it has plenty of character and charm. See the life-sized Diprotodon statue (giant wombat) dedicated to the Megafauna fossils that have been found in the area. The Artesian Mud Baths offer a great way to relax and rejuvenate in warm artesian water and mineral rich mud. Be sure to drop into the Eulo Queen Hotel for a great meal and atmosphere with cold beer and friendly hospitality. To soak up some warm, dry air and get a taste of Outback Queensland isolation, drive (or fly) into Thargomindah. Only a short 13 hours away from the East coast, this characteristic town holds plenty of history; including the first Hydro Power Plant in Australia (and third in the world). The quiet streets, cosy pub and inviting locals will provide you with an experience you won’t get anywhere else. Another iconic spot located in this neck of the woods is Cameron Corner. This historic post marks all three states in the most south-western corner of Queensland. Why visit one state when you can visit three in a matter of seconds? Outback Queensland has a whole lot to offer. Why not consider heading out west on your next big travel adventure? Be sure to check out the Outback Queensland website for more info about our great country escapes. Stay Tuned for next weeks blog post when we’ll cover Central and North West Queensland experiences.